Born in Golden, British Columbia in , Marina Endicott grew up in Halifax and Yarmouth, Nova Scotia, and Toronto, Ontario. She worked as an actor before moving to London, England, where she began to write fiction. 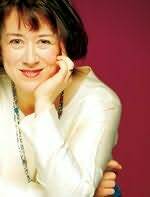 Returning to Canada in 1984, she went west to Saskatoon and worked in theatre as a director and dramaturge. She was for many years the dramaturge of the Saskatchewan Playwrights Centre. In 1992 she went farther west with Peter Ormshaw to Mayerthorpe, Alberta, on his first posting with the RCMP; they eventually married, have since lived in Cochrane and Edmonton, and have two children. "An exhilerating book, both brilliant and profound... Pulls us headlong into Aristotle's original mind." "Alison Pick unties the dark knots of the past to imagine the stories that could never otherwise be known." "A virtuoso feat of storytelling." "The power of Patrick Lane’s prose springs from lived experience, shaped and tempered by the astonishing skill acquired through a lifetime in poetry. Lane has history with this world, these menthe kind of history that sticks in the mind’s eyeand he lays bare the inner workings of a broken mind, sheltering against the unbearable past and bombarded by it anyway. This a mourning book, elegiac, bloody, all fire and ashes, but taking great care for what gentleness may be left in the world."